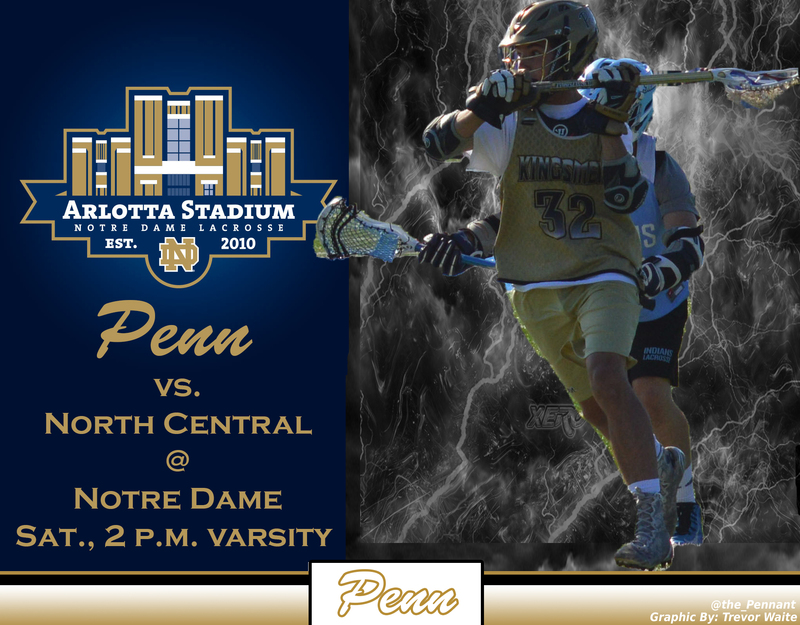 Penn will be hosting North Central at Notre Dame’s Arlotta Stadium on Saturday, April 23, at 2 p.m. The Kingsmen have had the chance to play a game at Notre Dame for the last few years. This means a lot to the players and fans to experience playing on a D1 college campus. “Notre Dame is consistently in the race for the Lacrosse National Championship, so to be able to play on the same field that all the team’s stars play on is a really unique experience.” Penn’s Logan McGuire said. Kingsmen senior Will Bartus was also looking forward to playing at Notre Dame’s Arlotta Stadium.